Brrr! This week has apparently been one of the coldest on record for Benalla, and I’ve been hibernating indoors with a few good books and my laptop. But there are still plenty of things to smile about. – Absolutely Fabulous. I started watching this gem of a show earlier in the week and I’m totally addicted. I do notice that “darling” and “sweetie” tend to creep into my vocabulary after I’ve binged on a few episodes of Ab Fab. 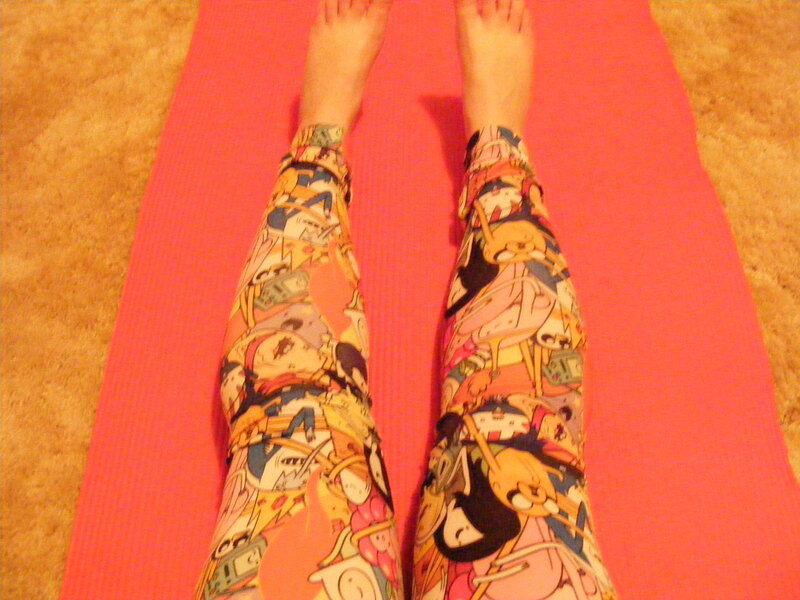 -My new Adventure Time yoga pants. I picked them up for a song at Jay Jays and they are super comfortable and surprisingly warm. Plus they have the added bonus of allowing me to play “Find BMO” whenever I’m in a forward fold. – Man buns. I never saw the appeal until my boyfriend sent me a picture of himself all done up in a shirt, tie, vest and a man bun. Hot damn, that boy can dress! – Earning a decent wage so that I don’t have to freak out about the bill every time I turn the heater on. I am so grateful that I don’t have to worry about every penny I spend on utilities so I can get through winter without having to choose between food and heater. – Waking up covered in cats. – Successful op shopping trips. – The scent of Tiger Balm. – Catching glimpses of people rocking out to the radio in their cars. – My brother’s girlfriend, who sent home a stack of comic books for me to borrow. We have very similar tastes, it would seem. -Drinking more water. I always struggle to drink enough water in the colder months. Last week I had a nagging headache for several days and it occurred to me that I hadn’t had a glass of water in about five days. After that I’ve made a bigger effort to get more H2O into my system and I feel much better for it.  Next 5 Fandom Friday: Fictional vehicles I’d like to travel in. Love all your things! I love long chilly walks to the city, crocheting (obviously) and hot chocolates! Mmmm, I think long winter walks are so underrated. I’ve been enjoying my daily walks to work in the chilly air, all rugged up on warm layers and breathing out clouds of vapour. So lovely. Oh yes, crocheting is one of my favourite things too. Although lately I’ve been doing a lot more knitting. I go through phases with my crafting. I’ll be smitten with knitting for a few weeks and then feel more like crocheting and then after a bit I switch back again. YOU! Just cause it’s been ages since we’ve caught up, I thought i’d share the love. I think you’re awesome and I love reading your posts. Awww, I love you too cutie! We should definitely organize a catch up soon. I’m in Melbourne a lot more often now, because of dating, so it would be great to have a chance to meet up with you again. I miss you! Oh wow, that’s really cool that you got a jump-start on the rest of the continent and had a chance to use Tiger Balm before it was widely available. It’s such an amazing concoction, and I can’t imagine being without it.